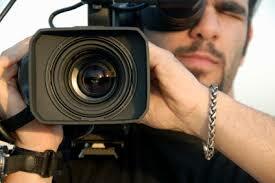 We are in need of somebody who has experience with operating a camera and basic lighting knowledge. We are shooting a video for a popular UK Grime / Hiphop artist in Birmingham. The shoot will be all day from 9am – 5pm on the 10th Aug.
Travel expenses will be arranged for all applicants who live in London or Birmingham ONLY. Food and Drink will also be provided in addition to a small appreciate tip at the end of the day. This is a massive opportunity for someone who needs to build up there portfolio work. The video will played on most upcoming Urban stations and websites, therefore instant exposure will be guaranteed. If you feel like you can do a phenomenal job and you believe this role is for you please apply now. Experience in camera operating and can provide examples of previous work. Ideally somebody who lives near by to location would be good.